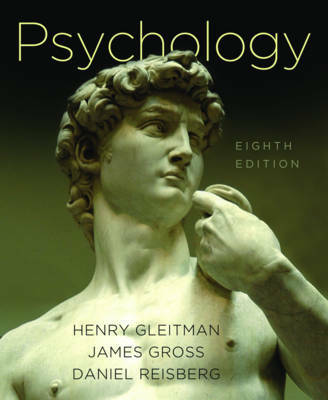 Henry Gleitman is Professor of Psychology and the former chair of the department at the University of Pennsylvania. He is the recipient of the American Psychological Foundation's Distinguished Teaching in Psychology Award (1982) and, from the University of Pennsylvania, the Abrams Award (1988) and the Lindback Award (1977). He has served as president of the APA's Division 1: General Psychology and Division 10: Psychology and the Arts. Most importantly, Professor Gleitman has taught introductory psychology for five decades to over 40,000 students. James Gross is Professor of Psychology at Stanford University and Director of the Stanford Psychophysiology Laboratory. Professor Gross's research focuses on emotion and emotion regulation processes in healthy and clinical populations. His 150 or so publications include The Handbook of Emotion Regulation (Guilford, 2007), and he has received early career awards from the American Psychological Association, the Western Psychological Association, and the Society for Psychophysiological Research. Professor Gross is also an award-winning teacher, a Bass University Fellow in Undergraduate Education, and the Director of the Stanford Psychology One Teaching Program. His teaching awards include Stanford's Dean's Award for Distinguished Teaching, the Stanford Phi Beta Kappa Teaching Prize, Stanford's Postdoctoral Mentoring Award, and Stanford's highest teaching prize, the Walter J. Gores Award for Excellence in Teaching. Daniel Reisberg is The Patricia and Clifford Lunneborg Professor of Psychology at Reed College in Portland, Oregon. Professor Reisberg's research has focused on the nature of mental imagery as well as on people's ability to remember emotionally significant events. He has served on the editorial boards of many cognitive psychology journals, and is the editor of the Oxford Handbook of Cognitive Psychology. Reisberg also consults extensively with law enforcement and the justice system, and is the author of The Science of Perception and Memory: A Pragmatic Guide for the Justice System.